The following three items list the same article, which was published in English, French, and Polish. 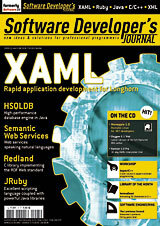 Olaf Spinczyk, Daniel Lohmann, and Matthias Urban, "AspectC++: an AOP Extension for C++", in Software Developer's Journal, pages 68-76, 05/2005. Olaf Spinczyk, Daniel Lohmann, and Matthias Urban, "AspectC++: extension de la Programmation Orientée Aspect pur C++", in Software Developer's Journal, pages 70-78, 06/2005. Olaf Spinczyk, Daniel Lohmann, and Matthias Urban, "AspectC++: aspektowe rozszerzenie C++", in Software Developer's Journal, pages 64-70, 06/2005. Olaf Spinczyk, Daniel Lohmann, and Matthias Urban, "Advances in AOP with AspectC++", Software Methodologies, Tools and Techniques (SoMeT 2005), IOS Press, September, 2005, Tokyo, Japan. Daniel Lohmann and Olaf Spinczyk, "On Typesafe Aspect Implementations in C++", Proceedings of Software Composition (SC 2005), April, 2005, Edinburgh, UK. Daniel Lohmann, Georg Blaschke, and Olaf Spinczyk, "Generic Advice: On the Combination of AOP with Generative Programming in AspectC++", In Proceedings of GPCE'04, October 24th-28th, 2004, Vancouver, Canada.